FastestVPN has only been on the market for just over a year, but you wouldn’t know it to look at their website or indeed to use their service. Everything about FastestVPN has the feel of a more experienced provider and gives confidence to those users who have not come across them before. But how does their service actually deliver in testing? In this review, we will give you the lowdown on everything you need to know. Strong encryption and privacy protections. Simple apps for mobile and desktop devices. OpenVPN not accessible in apps. FastestVPN only emerged onto the VPN market in early 2017, but in little over a year it has made a big impression. It has already developed what could best be described as a ‘cult’ following thanks to their wide range of features, excellent security and privacy provisions, and affordable pricing. So, let’s give you the lowdown on what FastestVPN have to offer. While the monthly package is priced at a pretty standard level, both the one and two-year packages are priced at an extremely competitive level. At the time of reviewing, FastestVPN also had a spring sale which was offering a 5-year subscription for just $1 (approx. £0.73) per month. If you are happy to commit for such a long time period, this rate offers even better value for money. Singing up for such a long period of time from an unproven provider isn’t without risk, buyer beware. As well as affordable rates, FastestVPN has a 7-day money-back guarantee, which means that no matter which package you opt for, you can get your money back in the first week with no questions asked. FastestVPN also has a great range of payment options, with PayPal and all major credit cards accepted as well as Bitcoin and Alipay, in a nod to the Asian markets. FastestVPN offers a big selection of VPN protocols for users to choose from. These include L2TP, IKEv2, PPTP, OpenConnect, Xsec and OpenVPN, for which UDP and TCP are available. FastestVPN offers a no user logs guarantee and this appears to be a sound one. Their policy states that the only usage data they monitor is the number of login attempts made by each account in order to ensure that users are not using more simultaneous devices than they are permitted, something which they claim all VPNs do. You will need to enter a username and email address when signing up, but if you like, that can be the only information FastestVPN retain on you. You can even make your payments with Bitcoin for additional privacy protection. As a relatively new provider, it is perhaps not too surprising that their server network is not as extensive as some of their competitors which have been around a little longer. Currently, FastestVPN users can use servers in 19 countries around the world. These are currently located primarily in Europe and North America. There are a handful in south-east Asia, but currently none in South America or Africa. However, they do cover all of the most popular server locations, such as the USA and the UK. And FastestVPN are adding to their network all the time, so this is a figure you can expect to rise in the months and years ahead. 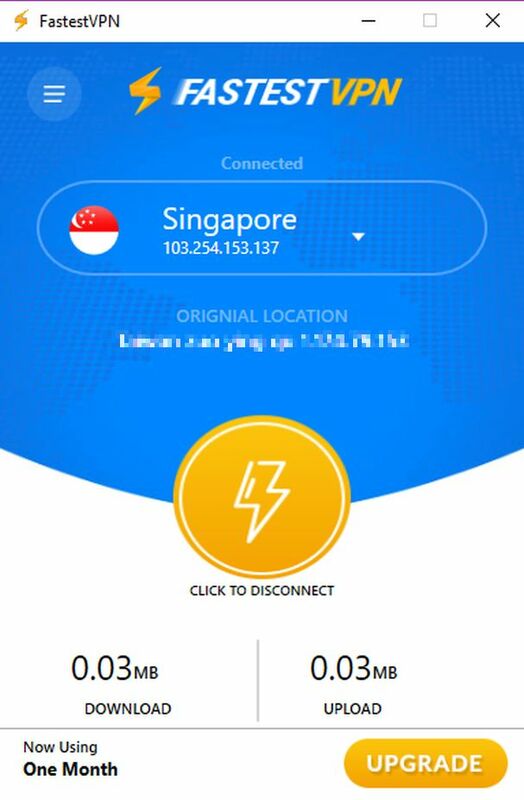 Every FastestVPN subscriber can connect up to five different devices to their VPN network at the same time. There are providers which offer more, but for the average subscriber, five is usually sufficient to ensure all of their devices are protected. It can also allow for family members to make use of the subscription too. As well as all the standard features we have come to expect from a VPN, FastestVPN does have a pretty impressive range of additional features. All of these are available at no extra cost and user feedback suggests they have been a big factor in FastestVPN’s rapidly growing popularity. These features include an NAT Firewall which offers extra security protection. Some other providers offer this at an extra charge, but very few make it available for free. They also offer a pretty effective ad-blocker which works on pop-ups and ads in web browsers and can be used across all available platforms. Then there is an anti-malware tool which runs every time you connect to FastestVPN and should help to protect you against most malicious software. There is also built-in DNS Leak protection. One standard feature which is currently lacking is a kill switch, but FastestVPN have assured us this is coming within the next month. FastestVPN currently offers apps for both iOS and Android mobile devices. Their apps are pretty standard across both platforms, enabling users to choose a protocol and server and then connect. All of their other features are built-into their apps and so there is no complicated settings menu to navigate. Other than connecting to a server, all the other menu options will take you through to the internet and ask you to log into your account before directing you the relevant web page. This is fine for most users but can be a little annoying at times. Having said that, the apps are neatly designed and straightforward to use. Advanced users might wish there were more bells and whistles to play with, but for most users, including beginners their mobile apps do everything needed of them. There is little to separate the Windows and Mac apps apart from the FastestVPN mobile apps. The design and layout are much the same and they all feature the same basic features. In many ways this is a benefit as standard apps across all platforms is what most VPN providers strive for. But, the downside is that the desktop apps also lack some of the bells and whistles we talked about above. I was disappointed to see that you can’t connect via OpenVPN using the desktop clients which is standard at nearly every other provider and somewhat expected. The choice available included PPTP, L2TP and IKEv2. I would hope to see an OpenVPN option added as soon as possible. For users of other devices, FastestVPN also offers a dedicated app for Linux users, a number of VPN-enabled routers, Playstore, and Kodi too. The name FastestVPN might be seen as setting themselves up for a fall, but in actual fact, the connection speeds we experienced in testing were consistently fast across all servers. One reason for this could be that FastestVPN makes use of Unix-based servers. These servers are faster and more secure than many others. They are particularly good for online streaming and downloading. As FastestVPN offer a small network at the moment, it is no surprise that they are able to maintain these speeds consistently across their whole network. We tested FastestVPN from both Europe and Asia and ran the service on both their iOS and Windows apps. In every instance, their speeds were impressively fast, with an almost negligible difference between the speeds we achieved with and without our VPN connected. As a result, we found downloading and streaming content an absolute breeze no matter which server we were using. As we noted above, FastestVPN is available with L2TP, IKEv2, PPTP, OpenConnect, Xsec and OpenVPN protocols. They use 256-Bit AES Encryption, which is just about the best level of encryption around at the moment. There are very few providers that can offer a better level of encryption and it is great to see FastestVPN offering it as standard for the prices they do. FastestVPN is headquartered offshore in the Cayman Islands, which means they can offer a No Logs Guarantee to all users. In fact, the only data that FastestVPN will gather about you is your user name and registered email address and even these will be deleted as and when you terminate your agreement with them. It’s worth noting there is very little detail about the company who runs FastestVPN. While they’ve chosen an off-shore location which is usually considered a benefit, if you want a little more ownership information about the people behind the VPN service you use then you may see this as a negative. For a young VPN, FastestVPN has plenty to be impressed about. They definitely offer impressively fast connections and can combine this with solid security and great privacy provisions. Their additional features are impressive too, and while their service is available on multiple platforms with clean and simple apps that are easy to download and use. There are a few flaws to their service. Their server network could be bigger and there is still no kill switch at the time of reviewing. But for the price, there is no doubt that FastestVPN offers a seriously good value for money VPN service. 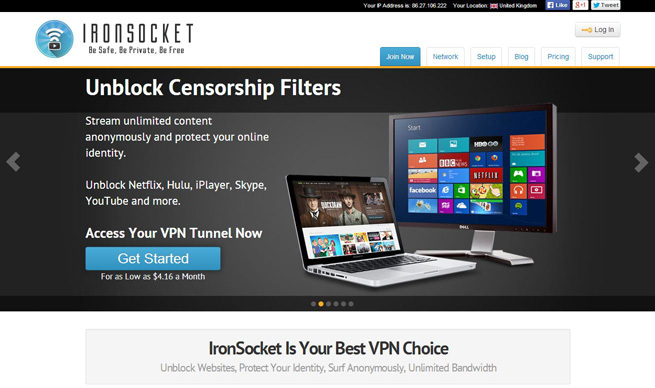 Definitely a VPN service we’ll be keeping an eye on for the future. Have you signed up to FastestVPN? What did you think of them? Do you agree with our review or did you have a different experience? We would love to hear what you think in the comments section below so why not let us know. Just an update on this review, FastestVPN has recently introduced a kill switch for the Windows client and in the Android app. Thanks for taking time to post.